The 2018 Black & Blue Festival Magazine is now available! AN EXCEPTIONAL LINE-UP FOR THE 2018 BLACK & BLUE FESTIVAL! THE 2018 BLACK & BLUE AT CLUB METROPOLIS (MTELUS) ! WORLD-FAMOUS DJs ROGER SANCHEZ & VICTOR CALDERONE TO PERFORM AT THE MAIN EVENT! 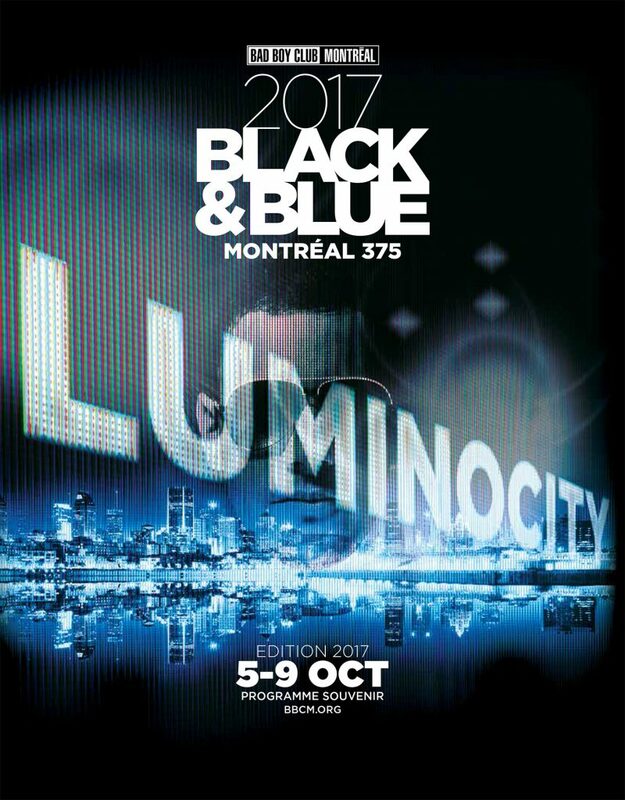 The 27th annual edition of the Black & Blue Festival in Montreal will be presented from October 5 to 9 under the LUMINOCITY theme. This year, festival participants will celebrate Montreal’s diversity under the effects of lights —an homage to the city’s 375th Anniversary festivities.